Cricinfo has finally started to find the best 11 out of all the Indian players who have played international cricket so far. The process has already been completed for Australia, South Africa, West Indies, Pakistan and England. The selection for Kiwis and Srilankans in on it's way. I think Sehwag and Gavaskar would be voted for opening pair. 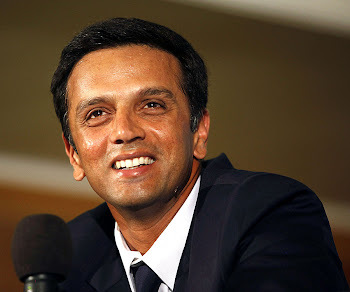 As far as middle order is concerned, nobody can take place of Rahul Dravid for the 3rd position in the line-up. Even Sachin Tendulkar should make it for the 4th spot. undoubtedly sunny and viru at top and Rahul dravid one of the greatest the world has seen at no.3 and the other great Sachin at no.4 so we will have India's 3 best batsmen ever (Sunny, rahul and sachin)in top4.Long live India.